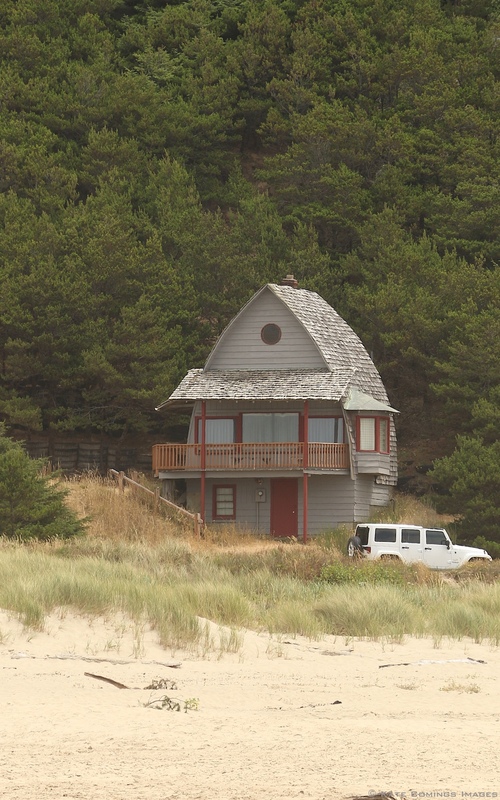 First off, I want this little house by the beach in Manzanita. Isn’t it cute? We’ve been having days and days and days of humid, ninety-plus temperatures in Portland, and I discovered that when it’s sweltering, my brain doesn’t work. I can’t concentrate, can’t focus… can’t write. I’m almost finished with the first draft of Zen Flowers, the fourth book in my series. It’s in two parts and has gotten up to a whopping 158,000 words and will be well over 160,000 when I get to the end. Big editing job ahead, but that’s in the future. Endings are excruciatingly difficult for me to write. Everything slows down to a crawl. I hate everything I write and keep deleting and starting the last chapter over again and again. That’s where I am now. 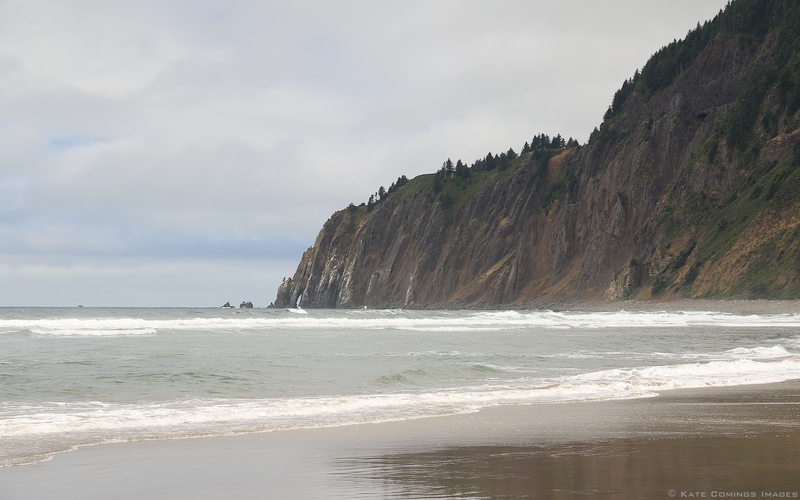 Yesterday, I couldn’t face going out for my daily walk and on impulse, drove to the Oregon coast where it was in the 60s, thirty degrees cooler than in Portland. 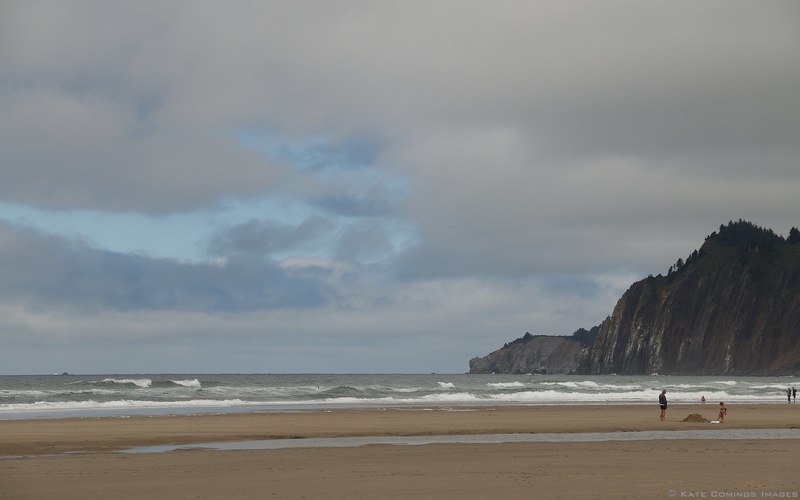 I went to Manzanita for the day this time. People come here for writing retreats. I’d like to have one in the little house above (Yes! I could write here!) but one of the motels would be just fine, too. I will do it someday. Even before I got to Manzanita, ideas began to percolate. I brought my iPad for that just in case. The beach is long; it goes on forever. First, I walked north to the end of the beach. Then I turned around and walked south for a couple of miles. As I walked, I told myself the story I’m writing in between gazing at the gorgeousness of it all and taking photos like the main character of the book. 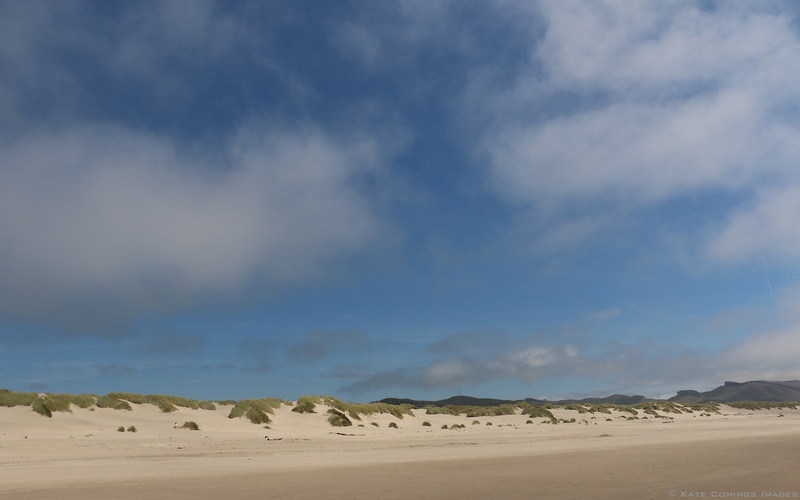 Looking east over the dunes, in the direction of Portland, the sky was an astonishing blue. 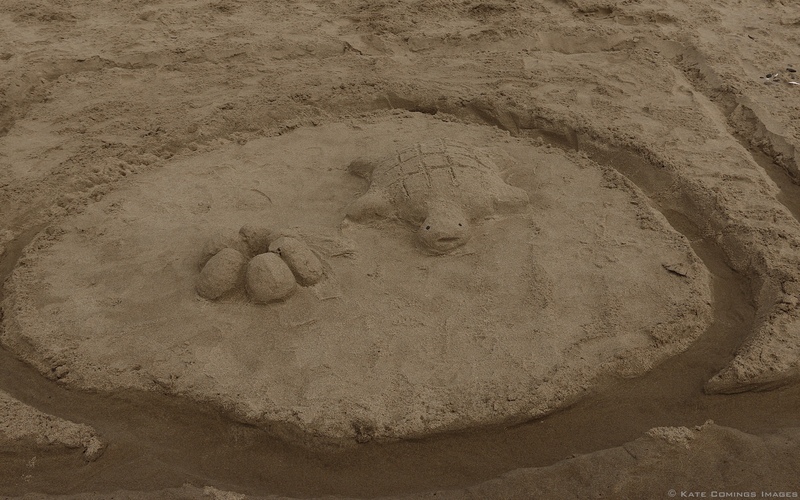 There were lots of sand castles all along the beach. This one was my favorite. Whenever I go to the coast, I get hungry for clam chowder. I planned to sit at the restaurant table, write, and savor a bowl of chowder, but I couldn’t find a seafood place. Google said the one there was permanently closed. 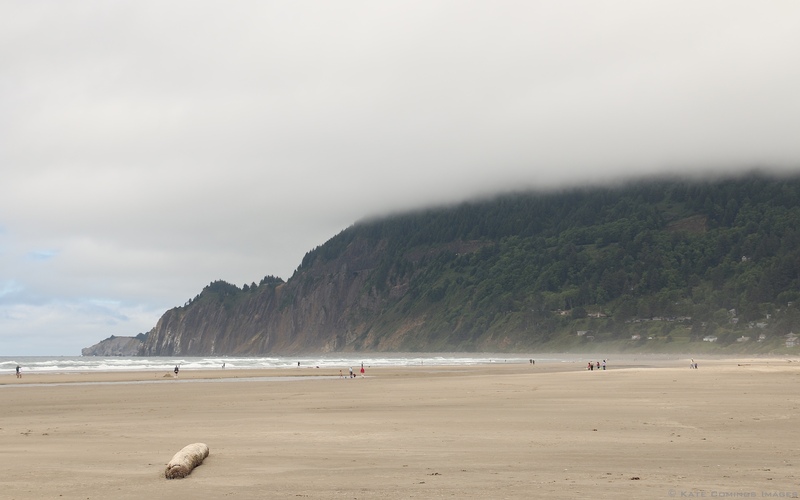 I wandered around the town for a bit, then stopped in Cannon Beach on my way home. By then, I was famished, and the bowl of chowder at The Wayfarer was wonderful, packed with clams. Between bites, I wrote down the ideas that came to me driving and on the beach. I can’t wait to get started again. 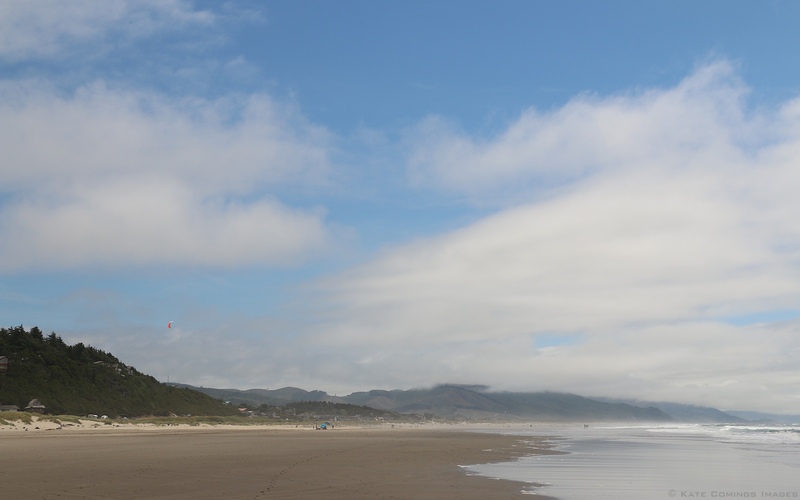 Tags: Beaches, Manzanita Oregon, Writing, Writing process | Permalink.